This Handbook contains everything you need to know about this Epic Secret Compass expedition to Chad. Arrive: by 2200 on 4 Feb 2018 into N’Djamena. Depart: leave N’Djamena any time from 1800 on 25 Feb onwards. Balance due: 90 days before departure on 6 Nov 2017. The aim of this epic expedition is to reach the southern part of Chad’s Tibesti massif and to trek to the summit of the Emi Koussi Volcano, the highest peak of the Sahara desert. As a member of this unique expedition (supported by 4WD vehicles initially and then by camels) you’ll follow in the footsteps of explorer Wilfred Thesiger through an ever-changing landscape of oases, pre-historical sites, volcanic craters and sand dunes that is home to the ancient Toubou people. Get to know the absolute definition of remote in Chad’s desolate Tibesti region. Home to the Sahara’s highest mountains, this isolated environment is dotted with impressive sand dunes, volcanic craters, striking canyons and incredible rock formations, hiding prehistoric rock art, intermittent oases and wadis sustaining nomadic settlements. Supported by camels you’ll explore the southern reaches of the Tibesti Massif and trek to the summit of the highest peak in the Sahara, the extinct Emi Koussi Volcano. Emulate Wilfred Thesiger’s classic, 1938 journey. Climb the extinct Emi Koussi volcano to its crater summit at 3445m. Explore one of the world’s most desolate regions as part of a camel-supported caravan. Trek through dotted isolated oasis inhabited by the Toubou for thousands of years. Trek the canyons of Yi Yerra amid hot springs. Drive across the Sahara’s most spectacular ancient oceans. You need to organise your own international flights. We have a unique partnership with Student Universe (a specialist division of the Flight Centre Travel Group and no, you don’t have to be a student to use them). The dedicated Secret Compass team understand us, our destinations and use global buying power to save you money and offer security along with a 24-hour assistance helpline. Fill in a free, no-obligation Flight Request Form here or call (UK) 0844 560 9799 for assistance in booking international flights. It is advised that you book a flexible flight ticket that can be changed or refunded if the expedition dates are changed or if it is cancelled for any reason. See our online Terms and Conditions. You need to be in N’Djamena by 2200 on 4th February 2018. Common airlines from the UK include Turkish Airlines and Ethiopian Air. You are free to depart N’Djamena any time after 1800 on the 25th February. Many flights to Europe depart late evening. If you wish to stay in N’Djamena for an additional night, we can organise this at an added cost. Visas are your responsibility. British and EU passport holders require a visa to visit Chad. There is NO Chad Embassy in the United Kingdom, and British passport holders should lodge their applications through the embassy in Brussels. This can either be done in person, or by utilising the services of a visa assistance company such as Travcour or Visa Machine. Secret Compass will provide you with the required hotel booking confirmation to submit your application. Please note that you will be required to provide a valid Yellow Fever Certificate with your visa application. Please lodge the application in good time as the process can be long (regularly taking more than 3 weeks) and unpredictable. If you are not a British citizen, please check the specific entry requirements for your country as they can differ considerably. Travel insurance that provides cover for emergency repatriation in case of a medical emergency is compulsory for all expeditions. You should be aware that many standard insurance policies may not cover you adequately for all aspects of a remote expedition and so we strongly recommend that you purchase a suitably designed insurance policy. Secret Compass cannot comment on the suitability of your cover so if you are in any doubt please contact your policy provider and ask them to confirm that you are covered to our minimum standard (below). Activities: ensure that any expedition activities are included, these could be trekking, horse riding, rafting, MTB etc. Foreign Ministry advice: check your insurance is not sensitive to any travel warnings issued by your respective foreign ministry. In the UK, many insurers will not insure you when the Foreign Office warns against travel to this area. Foreign Office advice will not necessarily mean we cancel an expedition or do not travel to a particular area. Please check @FCOtravel and the insurance page on our website. All expedition members should have valid passports, with additional validity of 6 months from date of entry to Chad. Please send a clear, colour copy of your passport to Secret Compass ahead of the expedition and carry photocopies with you on the expedition in a safe place. Arrive in N’Djamena and meet the team in a central hotel. A post breakfast briefing on the upcoming expedition before meeting the guides and vehicles and taking care of some permit paperwork prior to beginning our journey north. Today we’ll follow a large track along the edge of the alluvial plains of Lake Chad to reach the settlement of Massakori. Today we’ll continue our journey north, heading through Savannah landscapes, cultivated areas (millet and sorghum) and land grazed by herds of zebu and goats, towards the settlements of Moussoro and Salal. On our third day, we’ll skirt the depression of the Bahr el Ghazal (‘the river of the gazelles’, a former affluent river of ancient Chad). Although the water in the Bahr is not deep it feeds varied and luxuriant vegetation and palm forests. Later in the day we’ll negotiate the challenging driving of the Erg du Djourab dunes, before arriving at the Saharan Oasis of Faya Largeau, capital of the Borkou Region. Conquered by the French at the beginning of the last century you will find a big contrast between the Saharan character of its buildings and the colourful markets and the relics, tanks and machine guns left behind after the war. After re-fuelling and stocking up on provisions, we’ll wave goodbye to the western modernities of Faya largeau and winf our way between the sand dunes, palm groves and fossilised seaweed deposits of Borkou, passing through tiny villages to reach the sandy basin of Enneri Ourti where our trek begins. Our first two days of trekking (supported by 4×4) explore the rich sand dunes and rock outcrops (tassilis) of the Ourti valley at the foot of Emi Koussi. Here we’ll discover isolated nomadic encampments and prehistoric rock engravings and paintings. From the tiny settlement of Tigui we’ll head off on a 7-day camel supported trek with our toubou guides, through scenic ‘gueltas’ to climb to the summit of Emi Koussi, the highest peak in the Sahara. The trek starts off slow with the first two to three days based around grazing grounds for the camels in order to prepare them (and you) for the Massif proper where food and water will be limited. From the enormous (12×15 km) volcanic caldera you’ll get exceptional views across the whole of the Tibesti Massif. Crossing the caldera we’ll explore the ‘petit trou an natron’ before reaching the highest point of Emi Koussi at 3415m. The descent route takes us through the picturesque gorges of Yi Yerra where you’ll be surprised to find regenerating thermal springs. Today we’ll be met by the 4x4s and travel eastwards from Emi Koussi across strutted volcanic relief and sandstone formations, returning to Faya-Largeau. Drive away from Emi Koussi, past obscure sandstone formations, returning to Faya-Largeau. We’ll arrive into N’Djamena at about 1500, where we’ll have access to a comfortable hotel for showers, kit storage and a final meal. Many flights to Europe depart late evening, so you are free to book a flight any time after 1800. If you wish to stay in N’Djamena for an additional night, we can organise this at an added cost. Please remember that this itinerary acts as a framework plan. It provides guidance as to our intentions but may not be followed religiously. This is an adventure and by definition the outcome is uncertain. The leadership team will adapt, flex and change the plan depending on the numerous frictions you may encounter along the way. All our expeditions are achievable by people with an active and healthy lifestyle. However, it is an arduous expedition that will test you and at times you will be sore, tired, hungry and fighting blisters! You must be prepared physically and mentally for the expedition and for living in basic conditions for the duration. Please ensure that you train for the expedition and arrive fit and ready to go! The local currency is Central African Francs. Euros or USD can be exchanged for local currency at the hotel in N’Djamena. Debit/credit cards are not accepted and there are no ATMs. Please note there will be no access to money or ability to change currencies outside of the capital, so ensure you have sufficient change for personal spending before we leave N’Djamena. This expedition is all-inclusive so you won’t need much money – only really if you want to buy some souvenirs on the way. Secret Compass always suggest carrying an emergency fund of $100-$200 in cash. Vaccinations. Please seek advice from your health professional on recommended vaccinations. The NHS Fit For Travel site and Travel Health Pro are both useful. All travellers must have Yellow Fever Vaccinations and copies of their vaccination record. Additional recommended vaccinations are Diphtheria, Hepatitis A, Hepatitis B, Polio, Rabies, Tetanus, Cholera, Meningococcal Meningitis. Malaria is widespread – the recommended chemoprophylaxis is mefloquine, doxycycline or atovaquone/proguanil (Malarone™). Dental. It is strongly recommended that you have a dental check up prior to departure. Dental problems far from help are very unpleasant. All our expeditions are achievable by people with an active and healthy lifestyle. However, this is an arduous expedition that will test you and at times you may be sore, tired, hungry and possibly wet! You must be prepared physically and mentally for the expedition and for living in basic conditions for the duration. Please ensure that you train for the expedition and arrive fit and ready to go. You will be required to be fit enough for the following. Daily activity: varies but up to approx. 10 hours per day. Trek: up to 25 km per day across rocky, sandy terrain. Carry: up to 10 kg in a day sack including water, layers and food. Climate: very hot and dry, cooler nights. Cell Phone. Your mobile roaming may work in N’Djamena. You are unlikely to get signal in the desert. The following is Secret Compass’s recommended kit list for the 2018 expedition to Chad. Some items are vital so please read carefully. There are some examples on our website under the kit section. DAYSACK: 30 ltr, large enough to fir your water, sun cream and personal kit during the day. SOFT-SIDED DUFFLE: 70 ltr max, the support vehicles will carry your camping equipment, spare clothes, etc. These will then be carried by the camel caravan in the desert, so please ensure soft duffle type bags are used and you don’t bring unnecessary items to overburden the camels. WATERPROOF RUCKSACK LINER: Sealable “canoe” or “dry” bags made by Podsac or Ortlieb, etc to help keep the sand out. We are not expecting any rain but you never know! SMALLER DRY BAGS: As above, but smaller dry bags to put essential items in. These will hopefully keep your gear dry and sand free. SLEEPING BAG: Rated to 0 comfort. The temperature drops at night. SLEEPING MAT: Thermarest or equivalent. Bring a repair kit! TREKKING SHIRTS: 2 x thin trekking shirts that dry quickly. Long sleeves to provide insect and sun protection. THERMAL BASE LAYER: 1 x long sleeved thermal top. Helly Hansen or equivalent. LONG TREKKING TROUSERS: 2 x thin trekking trousers that dry quickly and are comfortable. WARM LAYER: 1 x light down jacket or equivalent. It may be cold in the evenings. WATERPROOF JACKET: 1 x Gore-tex or equivalent. WALKING BOOTS: Must be worn in before the expedition. Please consult your nearest outdoor store for advice on choosing the correct boot. We recommend a specialist desert boot from providers like Altberg. HIKING SOCKS: 4 pairs that fit will with your boots and provide cushioning. SANDALS: For use around camp. Flip-flops are not recommended. UNDERWEAR (optional): 4 x sport or cycling shorts don’t chafe. ROBUST WATER BOTTLE: 2 x Nalgene or Sigg. Combine with a Camelback. CAMELBACK: You need to be able to carry a minimum of 2 litres of water ina combination of camelback and water bottles. WASHBAG, TOOTHBRUSH & TOOTHPASTE, RAZOR, DEODORANT (optional): This should not be massive! A small drybag or re-sealable freezer bag is ideal. SOAP (optional): Anti-bacterial and BIODEGRADBALE. SANITARY PRODUCTS (optional): Bring nappy ssacks or similar for used items. VASELINE: Keep readily available to prevent chafing skin and heel friction blisters. A team medical kit with a comprehensive primary care provision will be carried. WATERPROOF BAG OR TUPPERWARE BOX: Keep kit dry and safe. ZINC OXIDE TAPE AND SMALL SCISSORS: If you can source Leukoplast, we have found this to be the best. ANY MEDICATION YOU NORMALLY USE: It’s worth noting down the generic/chemical name for your medication in case you need to buy more. Please also ensure that your medication is legal in your destination. HEAD TORCH AND SPARE BATTERIES: Petzl Tikka head torch or equivalent. GOGGLES: In case of dust or sand storms. PENKNIFE (optional): Do not carry this in your hand luggage. GAFFA TAPE (optional): For emergency repairs to your kit, you can take some off the roll and wrap it around something else in your kit. RE-SEALABE PLASTIC BAGS (optional): For dirty washing, wrappings, etc. 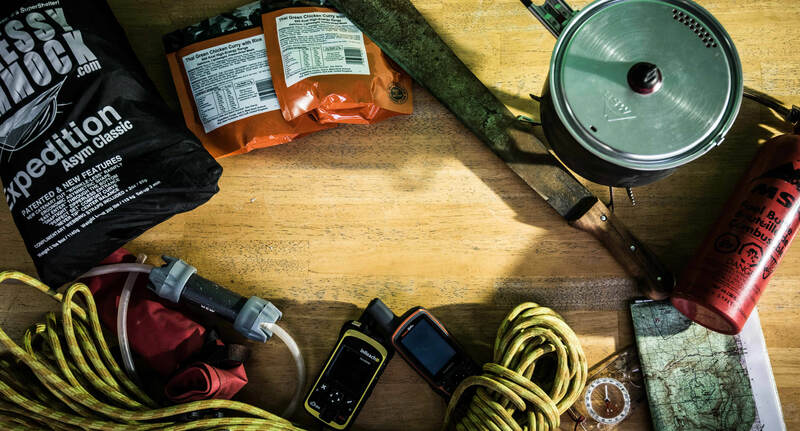 As part of the safety plan, Secret Compass has developed a full incident and emergency plan for medical and other emergencies on each expedition. This will be briefed in full at the arrival brief, so that everyone is aware what action will be taken. It is your responsibility to understand the risks associated with adventure travel in remote areas. You also must understand that on this expedition you will be in a wilderness environment and any medical evacuation will take an extended period of time (potentially up to 2 days) and will require wilderness extraction techniques and long carries by stretcher. In-country search and rescue and emergency services are very basic or non-existent and the expedition will rely on internal resources for medical evacuation. By joining this expedition, you accept the risks associated with the venture. If you require any more information on specific risk management for this expedition, or would like to speak to us about our medical planning prior to the trip, please get in touch. Toubou. The Toubou are an ancient tribe of people living mainly in Northern Chad but also in Southern Libya, Northwest Sudan and Northeast Niger. The majority of the 350,000 Toubou population are concentrated around the Tibesti mountain region and are semi-nomadic, moderate Muslims and animal herders. Toubou society is clan-based with each clan ‘owning’ a certain amount of oases, pastures, wells, etc. The two main clans are the Teda and the Daza. Our camel support team will be made of Teda people. Still very sceptical of tourists and foreigners in general it will be our task to build a rapport with our support team to be able to live and work alongside them. Clothing. Both men and women should wear loose fitting long-sleeved shirts and long trousers which cover their knees and shoulders (and cleavage for women), especially in towns and cities. In the desert shorts are acceptable, although the Toubou will consider you quite strange for wearing them! Our guides are very experienced with varying cultures and quite relaxed about dress code, but local customs must be respected when meeting locals. Photography. Due to cultural beliefs and traditions you will need to be very considerate in taking photos of local people, animals and their possessions. This does not mean that you will not be allowed to take photos, but is good custom to build a rapport with the person you wish to photograph and then ask their permission before you do so. Further information will be given during your briefing in N’Djamena. The weather during the day will be very hot and dry. The wind will pick up during the periods of sunrise and sun set. The nights will be relatively cool compared to the days. Daytime temperatures will be between 30°C and 40°C with temperatures dropping by 10°C degrees as we walk into the highlands. N’Djamena. In N’Djamena we will be staying in a comfortable mid-range hotel. Transit to Tibesti. During the five-day drive to the Tibesti Mountains we will be camping in single occupancy tents. Expedition. In the expedition ethos of less is more and of fully experiencing living in this unique environment we encourage you to embrace sleeping out under the stars, without a tent. You will still require a mat and sleeping bag and will be shown how to clear away stones and make a slight dip in the sand, which will help to direct the winds over you. There is a possibility that the camels may be able to carry a small number of tents for those who do not wish to sleep out, please let us know in advance if you wish to take up this option. Reality of living rough for days. Occasionally people on our expeditions are not prepared for sleeping in such conditions for multiple days. Living in these conditions can degrade your health if you do not look after yourself and increase fatigue if you are not used to living rough. You need to be highly organised so that your night and morning routine is done efficiently and quickly. If you are inexperienced at camping, it is essential that you get as much practice as possible prior to the expedition. All our food will be sourced in country. In towns it will be in local restaurants and cafés. On the expedition we will have an Italian style cook so expect delicious and nourishing food. You may wish to bring your own snacks to supplement the food provided. Luca Alfatti. You will be led by Luca Alfatti, an experienced Secret Compass expedition leader and previous Wanderlust Guide of the Year. Local guides. We will be working with local partners to ensure the smooth running of the expedition. During the ascent and descent of Emi Koussi we will be accompanied by a local guide, translator and cook as well as the team of local Toubou cameleers. International flights. You need to organize your own international flights. We have a unique partnership with Student Universe (part of Flight Centre); a specialist team of travel consultants who understand us, our destinations and who have a team dedicated to helping Secret Compass teams. They have a 24-hour assistance helpline and access to the best fares. Fill in a contact form or call (UK) 0844 560 9799 for assistance in booking international flights. Road. We will drive to and from the trailhead in 4WDs. You should be aware that due to the remote location of the Tibesti Massif this is a 5-day drive in each direction. The drive takes in a variety of landscapes from the alluvial plains of Lake Chad, to the ancient river course of the Bhar al Ghazal to the enigmatic dunes of the Erg du Djouab and the stunning sandstone tassili of the Saharan desert. Along the way there will be plenty of opportunities to get out and explore the many small oases and settlements we come across. Please be warned that due to cultural beliefs and traditions you will need to be very considerate in taking photos of local people, animals and their possessions. This does not mean you will not be allowed to take photos but that it is good custom to build a rapport with the person you wish to photograph and then ask their permission before you do so. Further information will be given during your briefing in N’Djamena. Expedition support. During the first 2 days of the expedition we will be supported by 4×4 vehicles. The vehicles will carry food and water supplies along with the camping equipment and will meet the team in camp each night. During the rest of the expedition we will be supported by camels. Foot. The majority of the journey will be on foot. You will carry your backpack with all your personal gear for the day, at least 2 litres of water and a share of the group emergency equipment, all camping kit and group gear will be carried by the camels. The terrain will vary during the expedition from soft sand dunes to rocky volcanic mountains. You should have comfortable, well-fitting desert boots. Secret Compass staff will be carrying at least two methods of communication, usually a Satellite Phone and a DeLorme two-way communication device. These will be used for regular updates to head office and for emergencies. Unfortunately, routine communication between team members and family/friends is not possible – please reassure them that no news is good news! If there is an emergency and someone needs to contact a team member, they can contact Secret Compass’s Operations Room on +44207 096 8428 who will endeavour to pass a message on within 24hours. As the plan outlines, there is a chain of transport to get teammates out to and back from the trailhead and so start dates and end dates are not flexible. Can I change all my electricals? Outside of N’Djamena, no. Please ensure that you are self-sufficient in terms of charging your appliances by bringing things like spare batteries, lightweight solar panels or power packs to avoid frustration. Probably. A visa application advice document will be provided to teammates, with visas remaining teammates’ responsibility. Will there be toilets or showers? There will be no toilets or showers available during the trek. You should be prepared to duck behind the nearest sand dune ‘al-fresco’ and limit yourself to wet-wipe washes. Toilet paper is generally burned. The water for this expedition is being carried by the support vehicles so there will not be enough to provide showers of any nature. Wet wipes are the way forward: you’ll all be in the same position so don’t worry about it. Vegetarians and coeliacs can be catered for. Feel free to supplement the meals provided with your favourite trail snacks. Give as much detail as possible when applying to help us best provision the team. See out Fitness section in Get Ready and the Prepare tab for above for expedition-specific fitness advice. Due to cultural beliefs and traditions you will need to be very considerate in taking photos of local people, animals and their possessions. This does not mean you will not be allowed to take photos but, it is good custom to build a rapport with the person you wish to photograph and then to ask their permission before you do so. Further information will be given during your briefing in N’Djamena. Will we carry all kit in the desert? The team will be supported by 4WD vehicles and camels in the desert. Each team member will have to carry at least three litres of water per person per day, lunch supplies, personal kit (sun cream, camera, etc) and a share of the group emergency and communications kit. Can we leave a bag anywhere? You’ll be able to leave a small bag in N’Djamena with any items you won’t need during the trek. This will be at your own risk. Will we get to drive the 4WD vehicles? No. Your guides will be in charge of driving at all times. Will my camera work in the heat? Cameras should not be that affected by the heat and dryness, but if it reaches over 45 degrees they might struggle. Your best bet is to keep your camera in its bag until you use it and don’t keep in the direct sunlight for too long. The main problem is the sand itself. Grains can easily get into the lens systems, particularly compact cameras with zoom lenses. Cameras with electronic lens covers are most at risk. The best cameras to use are sealed waterproof cameras which have no external working lenses so no sand can egress them. If using an SLR, then take care to prevent sand getting into a lens housing. Using Prime fixed focal length lenses can help. Take a small paintbrush, a puffer bottle or, even better, a compressed air canister (probably bought in-country if flying in) to blow away sand and grit from moving parts. Take care around the sensor and never wipe this if sand is on the sensor. Take particular care if the wind is blowing or the sand is very fine. There should be signal in N’Djamena. It is very unlikely that you will have signal in the desert. Secret Compass will have satellite phones and radios for emergency communications only. Do I need to cover up? Both men and women should wear loose fitting long-sleeved shirts and long trousers which cover their knees and shoulders (and cleavage for women), especially in towns and cities. In the desert shorts are acceptable, although the Toubou will consider you quite strange for wearing them! Your guides are very experienced with varying cultures and quite relaxed about dress code, but local customs must be respected when meeting locals. What’s the currency in Chad? The local currency is Central African Francs. Euros or USD can be exchanged for local currency at the hotel in N’Djamena. Debit/credit cards are not accepted and there are no ATMs. Please note there will be no access to money or ability to change currencies outside of the capital, so ensure you have sufficient change for personal spending (and recommended emergency fund $100-200) before we leave N’Djamena. This expedition is all-inclusive so you won’t need much money – only really if you want to buy some souvenirs on the way. What desert boots do you recommend? See further kit information in your Expedition Handbook but essentially, we recommend desert boots, in a brand that fits the shape of your foot. We recommend Alt-Berg desert boots if they suit your feet though shoe choice is personal choice. Do you provide further advice? You might find our Get Ready section useful, with further advice about fitness, flights, travel insurance, visas and our approach to risk management. Use the buttons below to contact Secret Compass with your questions or to complete our no-obligation Application Form to join this team. Someone will get back to you promptly.